When you are thinking about buy a dream home, what you desire the most, except the fixed facilities and services associated with any luxury residential project, what you mainly looking for is the excellent green surroundings and peacefulness. Superb aeration and sufficient natural light are the major points that make your home worthy. Step into Vatika Xpressions Floors and a fresh atmosphere is waiting for you here, just to present you an indication of what you will practice within these homes. The beautiful views of green surrounding have been architecturally confined to offer you living that is really exclusive. Position of the doors and windows has been advantageously incorporated in the floor plan to give access to unobstructed fresh air and daylight in your home. The excellent design has done away with the avoidable elements inside the 2 and 3 BHK independent floor that posed to be an obstruction. In this way, it like exists on the point of green surrounding and inspiring your living in this company. 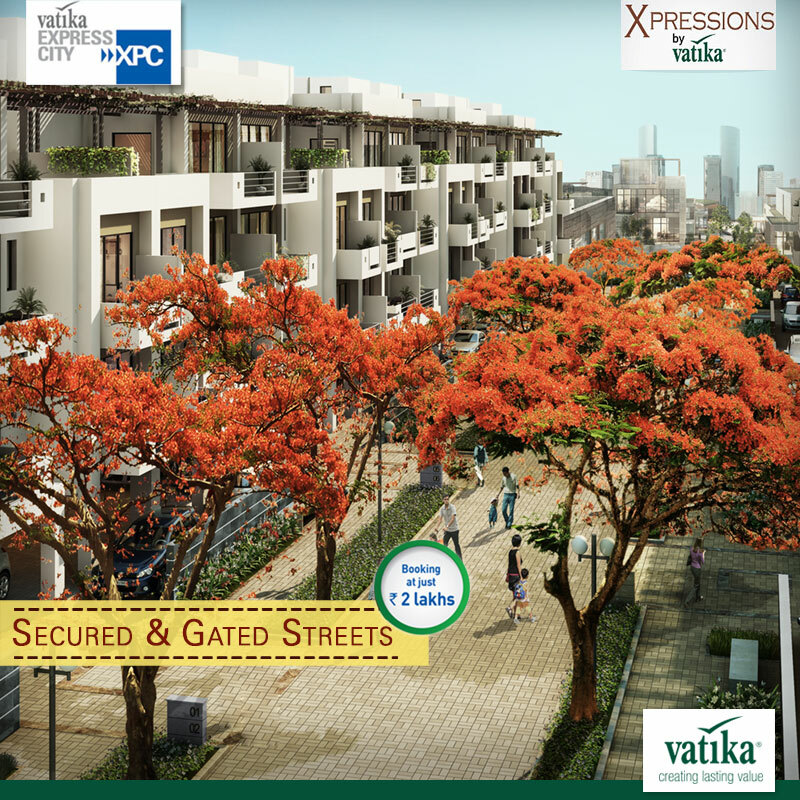 It’s similar to the living in heaven for you at Vatika Xpressions Floors Sector 88B Gurgaon. This development is located in such a way that it is extremely balanced amid different needs of the today modern lifestyle. This community is best for the employees of IT companies and other as the location is falls nearby IMT Manesar & Dwarka Expressway and also its direct access to the National Highway – 8 & Airport makes it very attractive for the home seekers. This residential community is a part of Vatika Express City Township along with independent floors, plots & luxury apartments and many commercial developments. The theory of keep the environmental stability and the implementation of the same has been the essential aspect which has determined the master planning for this low rise development. This residential project has been planned in a way that has guaranteed lowest amount of change to the natural land and adjoining areas. And Vatika Developer has made sure that Natural Resources are preserved in any possible way. So this residential project is a grand opening for the investors and home seekers in Gurgaon. After a life of hard work, you and your family deserve to be pampered. Convenience at Vatika Signature Villas is the perfect ingredient that will ensure you truly get what you deserve. 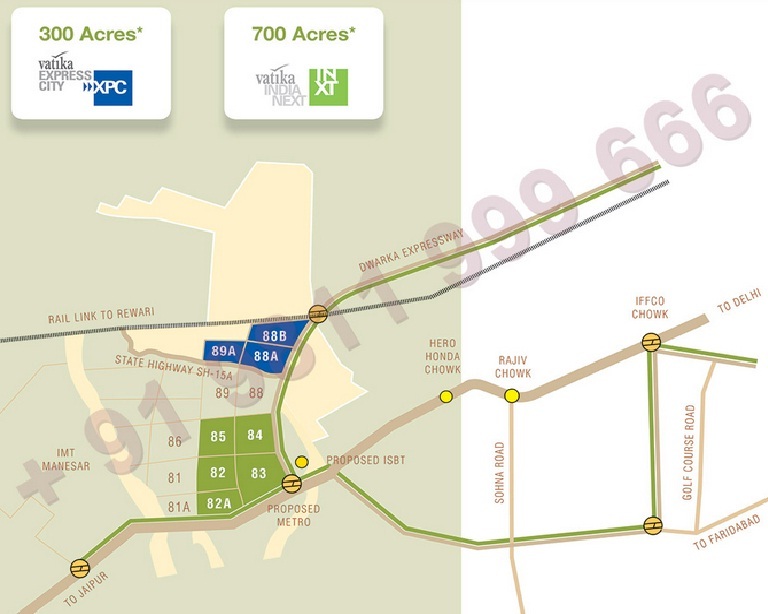 Sector 82 Gurgaon is perfectly located at a stone’s throw distance from everything you’ll need. The colossal IMT Manesar commercial hub is a short drive or suave restaurants and shopping complexes. Daily needs can be contacted with no difficulty. Trustworthy medical institutions or famous institutions, whatever you or people will need is just another corner. That’s generous of space that finesses to every nook and every corner of the house, that elegance of the finer side of life, it’s all here in your home at Vatika Signature Villas. Utilization of every sq. ft. to provide you with nothing but the ultimate comfort you desire. Perfect planning marked with quality benchmark of design and delivery. Lavishness is something that is hard to get. That’s why not everybody can achieve it but you. Thus you deserve to live at this residential project, the ultra 42 tastefully appointed villas, you always aspired for. Every square feet here is clean luxury. And it is for you. 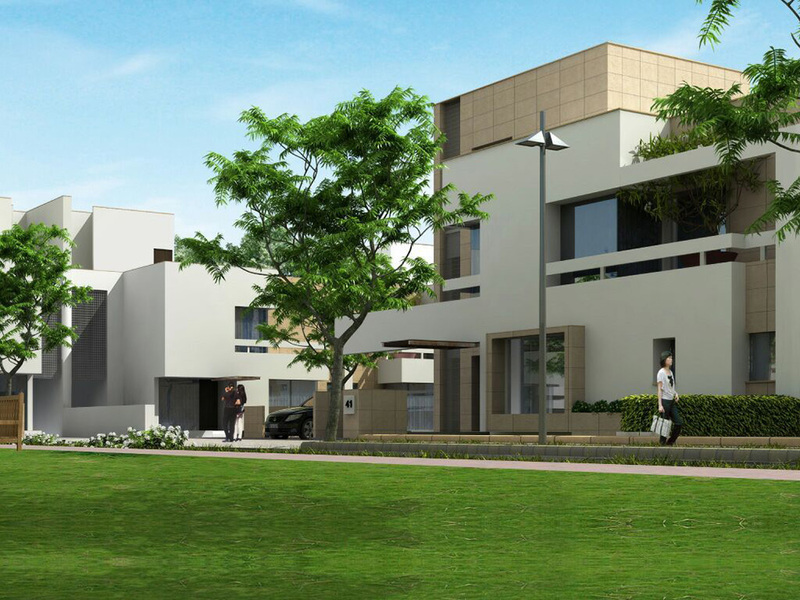 This luxury villas community in Vatika India Next Township, set in a beautiful locale of Sector 82 Gurgaon, further than the disorder of the metropolitan, has been designed to present more privacy to each home. Get pleasure from these classy style homes, find yourself here – pamper your passions, revive your senses. Take a gap from the rest of the world, indulge in the first class facilities and services available over here. Vatika Signature Villas takes you to the height of leisure living with deluxe interiors and spacious hallways that grow above the common. These luxury residences come with abundant facilities and features to compose your life the most excellent it can be. Modernism coupled with practical design crafts an exclusive level of comfort and convenience. An exclusive blend of expediency and stylishness, resulting the most luxury homes you will ever get. From abundant drawing rooms to well appointed kitchens, Signature Villas crafts the type of life you want.